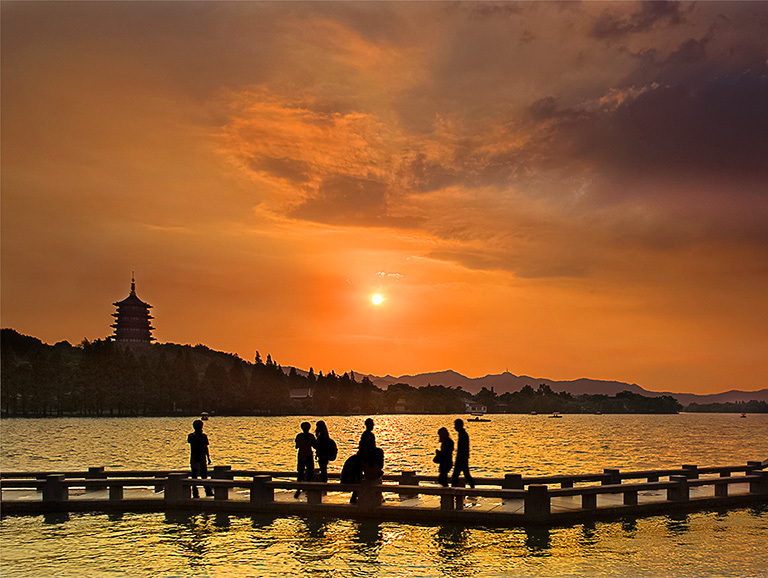 Experience the modern metropolitan fashion in Shanghai and enjoy marvelous ancient gardens and lakeside scenery in Suzhou and Hangzhou! 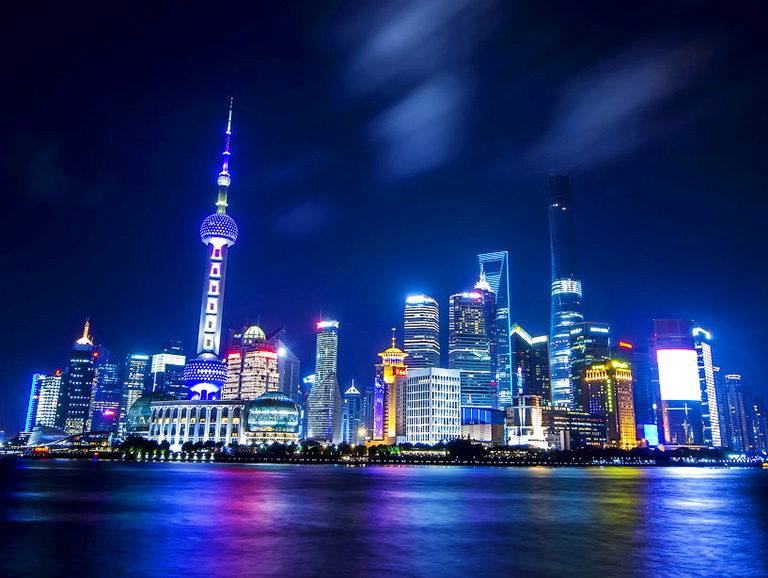 Shanghai – the most developed city in China, is the main center for finance and fashion of this country. 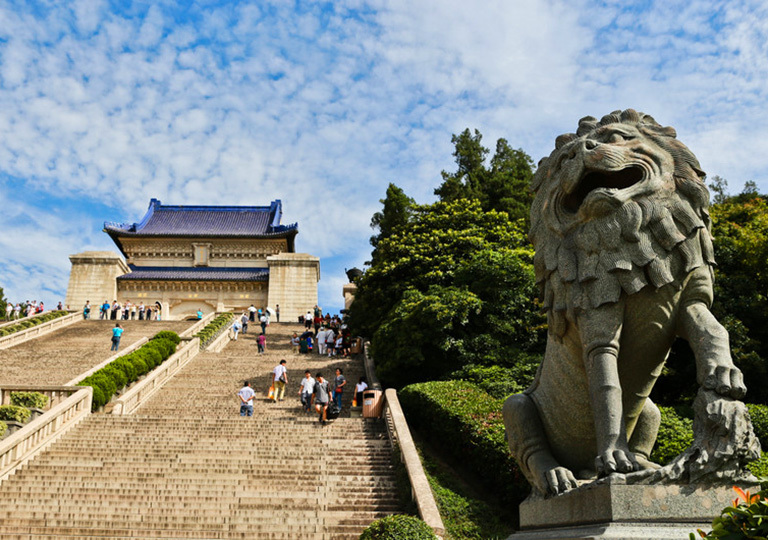 This city is a fascinating mix of East and West, and you can experience the traditional Chinese culture and modern culture in one city. 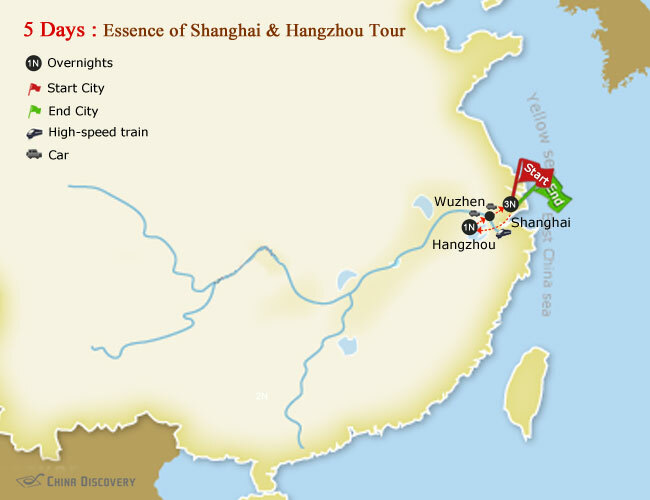 As the most famous backyards of Shanghai, Suzhou and Hangzhou are famed for their traditional elite culture and exquisite attractions. 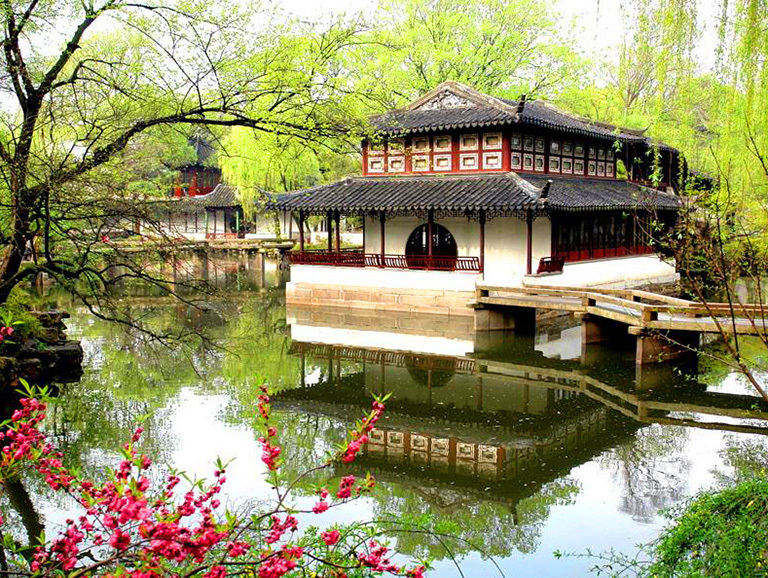 Suzhou’s beautiful gardens and traditional waterside architecture will give you an overview of traditional Chinese garden, while Hangzhou’s natural beauty and historical and cultural heritages are cherished by countless tourists. 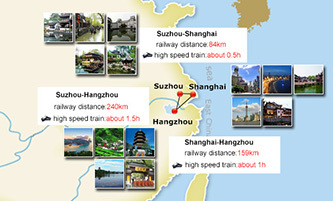 Travel among Shanghai, Suzhou and Hangzhou is very quick and convenient. 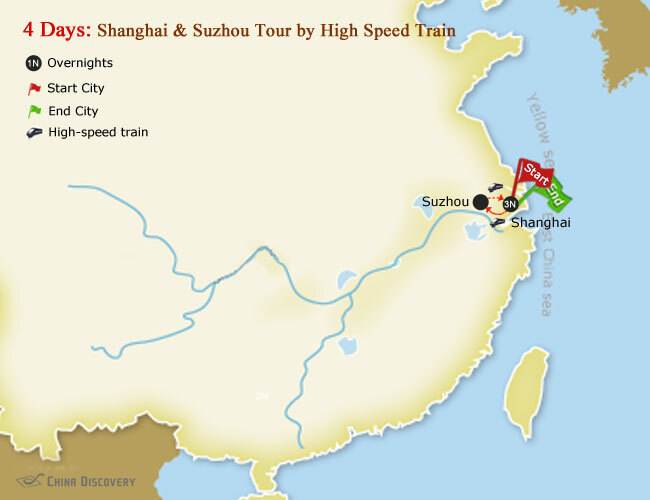 High speed train is the best choice as transportation tool. 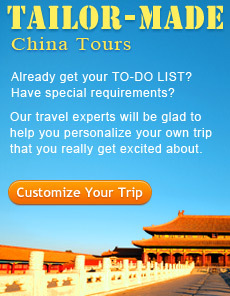 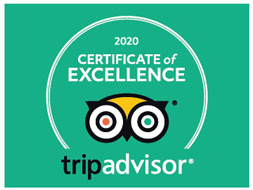 With years’ experience, we focus on providing you the best memorable tour at best price! 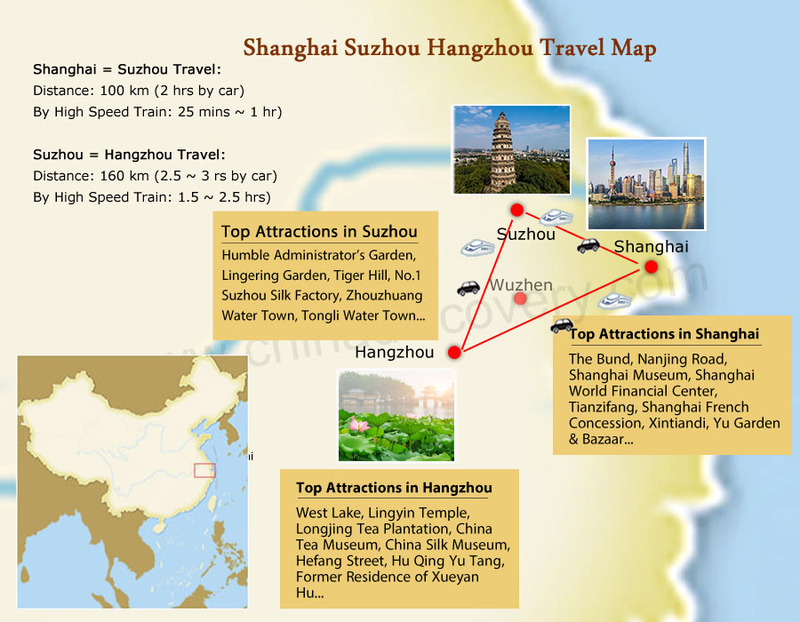 Before you start your tour, it’s better to know about how to plan a Shanghai Suzhou Hangzhou tour, as well as the top attractions and things you can do in Shanghai, Suzhou and Hangzhou. 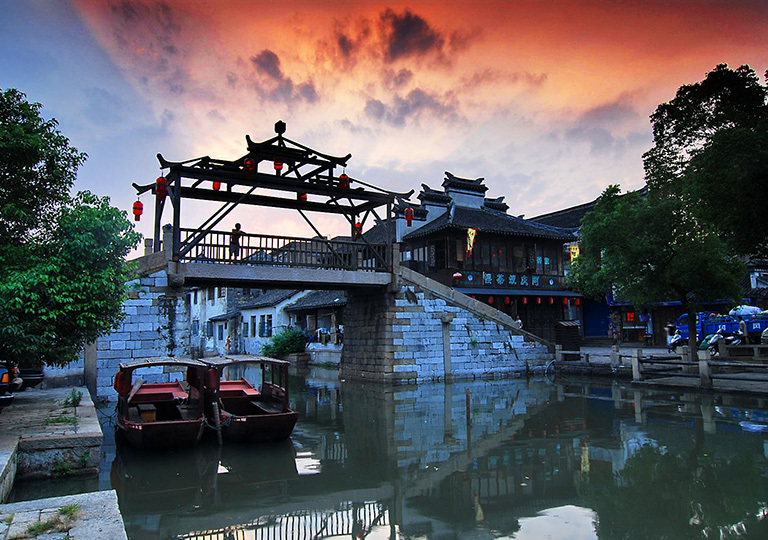 Want to experience the "Jiangnan Culture" but lack of enough time, in that case, you can choose two destinations at a time. 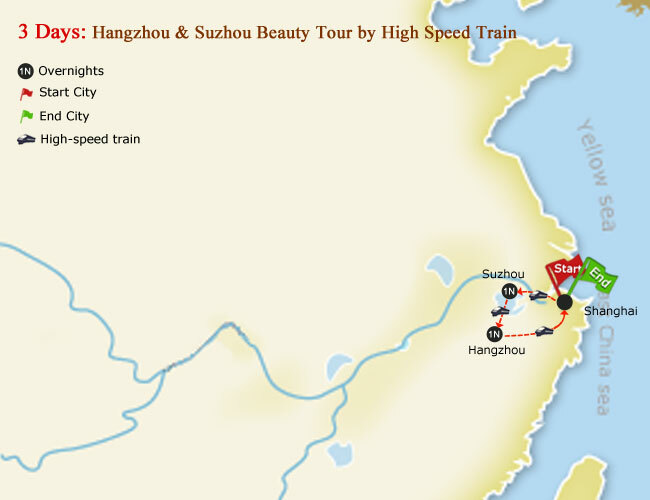 We select three itineraries that only contain two cities in one tour. 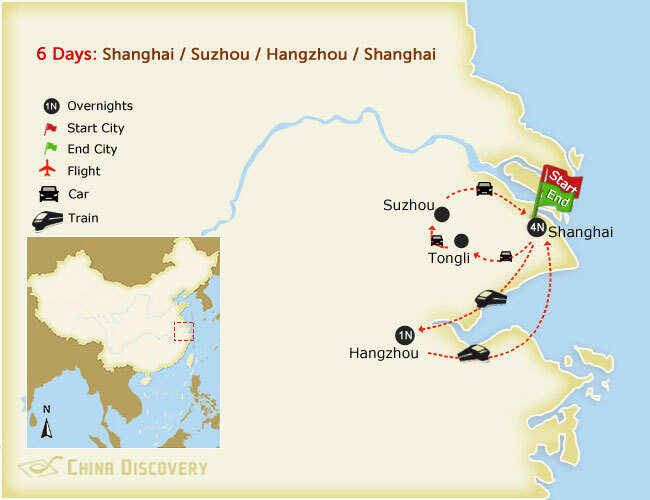 All the itineraries start from Shanghai, so it's easy for you to transfer. 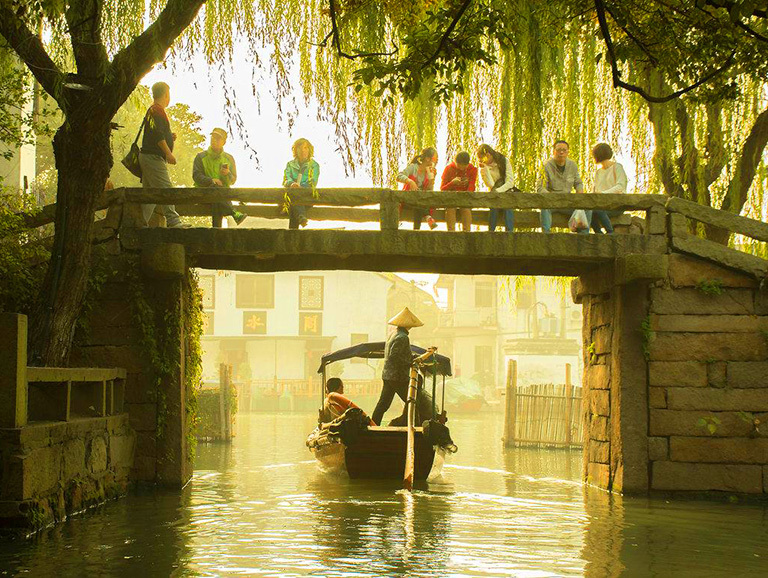 Experience the best in two top cities, from Shanghai's vitality and busyness to Suzhou's beauty and tranquility, all in one grand journey. 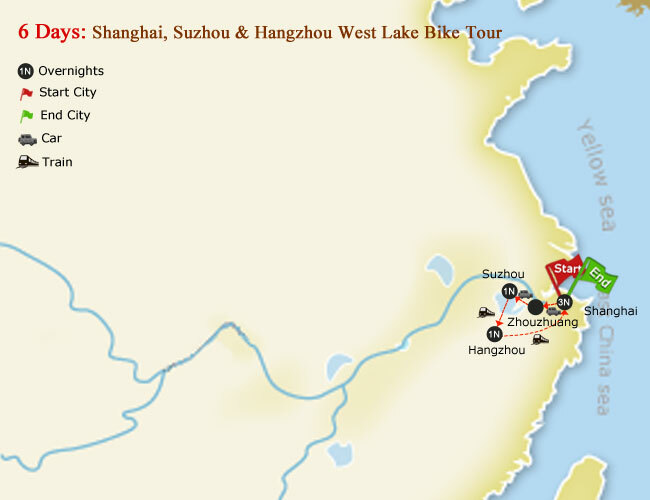 Go experience the two cities Suzhou & Hangzhou, that share the pride of Paradise on Eeath. 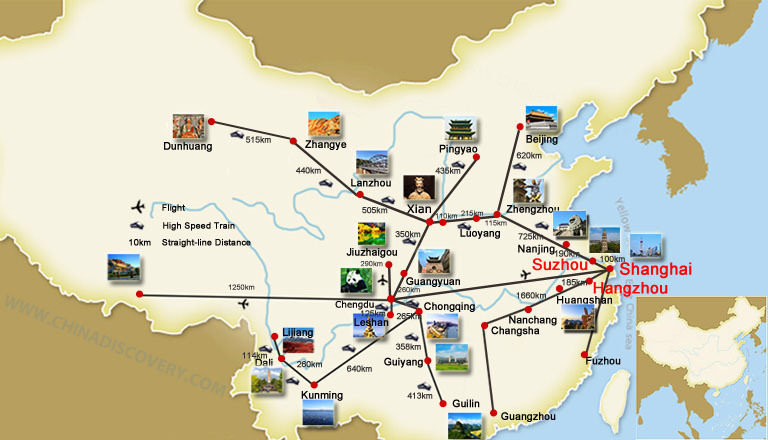 All the highlights you should visit included in short 3 days. 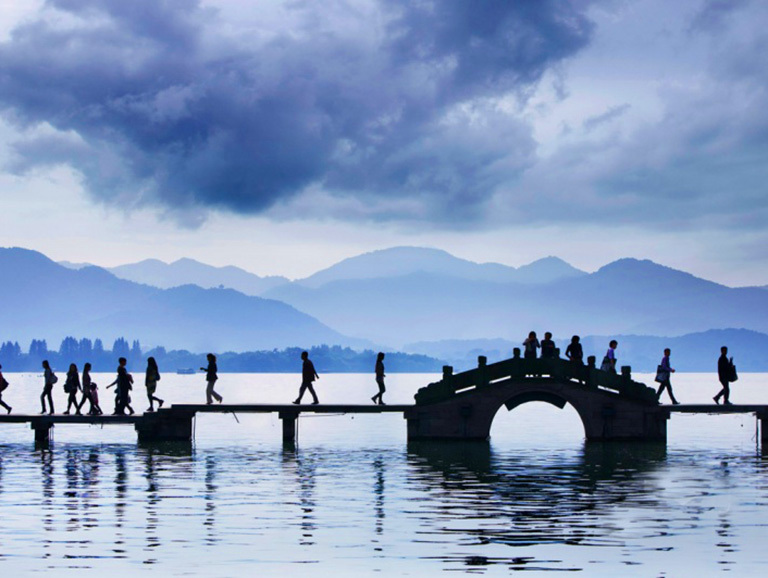 Experiencing the elegance of Suzhou and Hangzhou, enjoying the vitality of Shanghai, taking a leisure time at Tongli and being amazed at the most beautiful mountain in China...Embrace the "Jiangnan Culture" and give yourself a really good relaxing time. 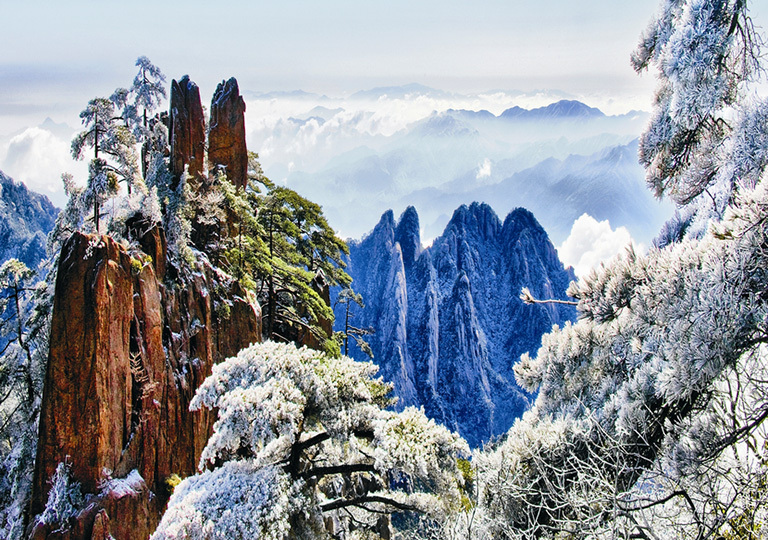 Experience the East China like Nanjing, Suzhou, Hangzhou and Shanghai, from the ancient capital to the paradise on earth, from the bustling ciry to the breathtaking natural wonders, give yourself a memorable time, all in one grand journey.